At the opening of MWC 2019, Samsung will hold a new product launch conference at 3 am on February 21 where it will release its new flagship series. The new flagship Galaxy GS10 series will be launched worldwide, and the new series will arrived with the new Qualcomm Snapdragon 855 processor. It also boasts of bringing a new look and colour. 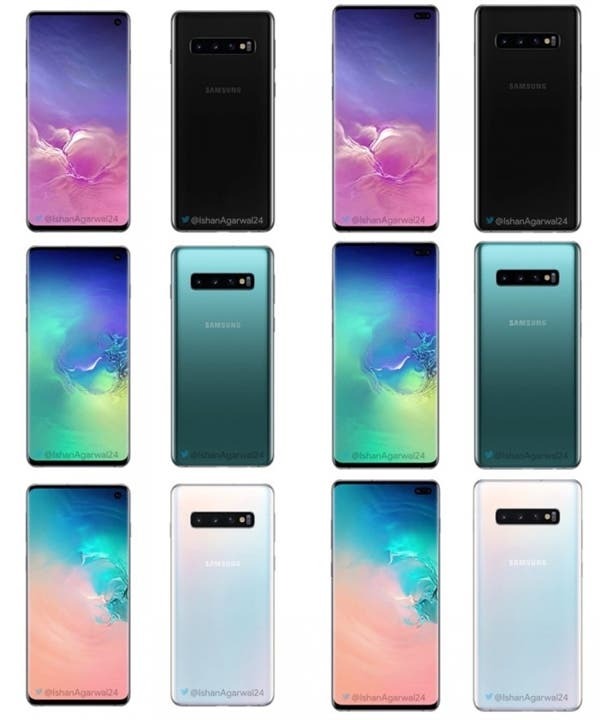 Ishan Agarwal recently released some renderings of the Galaxy S10 series (Galaxy S10, Galaxy S10+, and Galaxy S10e or S10 Lite) as well as the full-colour scheme for this series. From the figure, the Samsung Galaxy S10 and S10+ will be available in three colour options which include black, blue and gradient white. 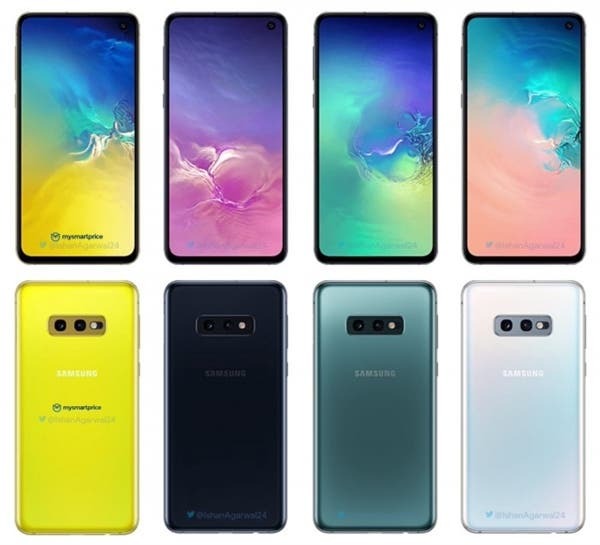 The Galaxy S10e adds a canary yellow, which is probably for women, the younger folks and it is more fashionable. All the devices in the Samsung Galaxy S10 series come with multiple rear cameras which are arranged vertically. 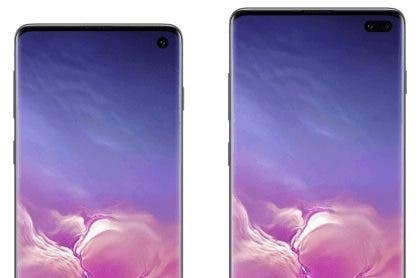 The Galaxy S10 and S10+ have a triple-camera setup while the Galaxy S10e comes with a dual rear camera setup. Again, all the smartphones in this series come with a punch-hole selfie camera system but only the Galaxy S10+ has a dual selfie camera configuration while the S10 and S10e uses a single front camera. 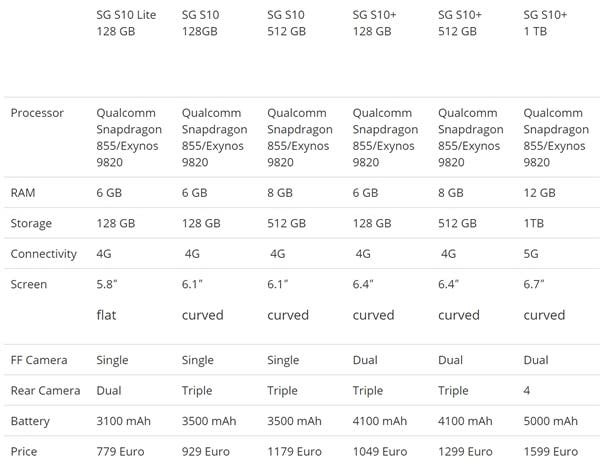 Other notable additions are that some variants of the Galaxy S10 series will be powered by Samsung’s Exynos 9820 processor and the S10+ provides up to 12GB of RAM and 1TB of internal storage. Ishan Agarwal also said that the S10 will open a reservation on March 7th and it will come with the Galaxy Buds, a wireless headset in some areas.